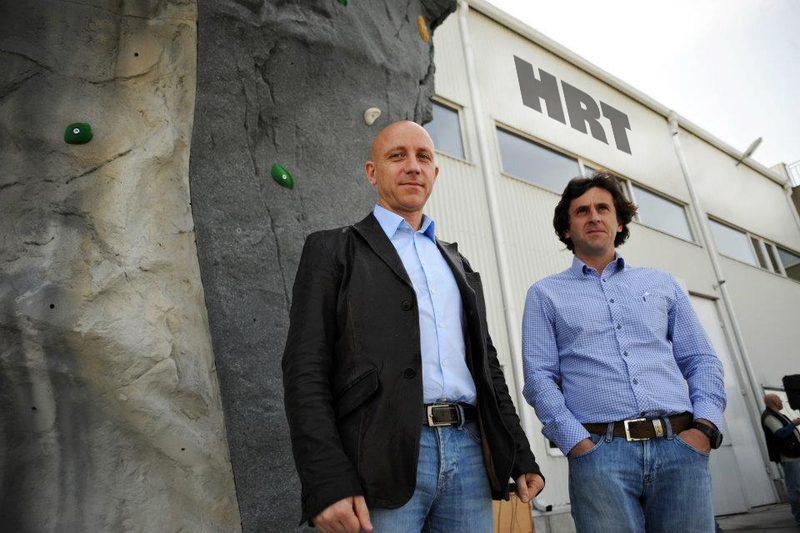 HRT was founded as a producer of artificial climbing holds and walls in 1998 by two young climbers - Ivaylo Penchev and Metin Musov. Due to its huge and rapid growth, because of the high quality of its products and services, the company was later restructured into two independent and highly specialized companies- HRT and Walltopia, which continue to operate very closely today. HRT has remained devoted to developing and manufacturing climbing holds. The design and production of climbing walls, including engineering and assembling, was transferred to WALLTOPIA, which is now the world leader in the production of climbing walls. Over the years, HRT has remained true to its philosophy of constant technological improvement of its products. This has allowed HRT climbing holds to become the global leader in technological development, as well as the most popular brand worldwide. Among HRT's innovations are: The HRT Safety System, CompozIT holds, the universal bolt insert, WHITE holds, Bolt Plugs and One-size bolts, Surface hardening, HRT holds Reanimator, and Hanging volumes. LED holds. In the last 3 years we decided to develop 3 new brands of with different concepts and identities. This is how were born : Fiction holds, 300 holds and Boulder special. At the moment within all 4 brands, are offered more than 3 200 unique shapes of holds and about 150 volumes of various sizes. All holds and volumes are produced from either polyester resin, polyurethane resin or CompozIT( hollow-back holds made of polyurethane and fiberglass). From starting out in the garage of one of its founding members in a country many people can't find on a map, to becoming a global leader in the climbing industry, HRT is a classic example of what a team can achieve through hard work and ambition. Passion and devotion to science and technology, as well as constant attention to its clients' needs have been the keys to HRT's success.